Majha International School of Nursing was set up with an aim to provide better prevention and cure of diseases and keeping people fit and healthy. Life quality improves considerably when diseases can be prevented. The association between mankind and care takers is age old. People have been using nursing services to get cured from various illnesses and sickness. In the present day health care system, nursing staff play a vital role and the college provides thorough knowledge about various treatment facilities, medicines and their use to the students pursuing pharmacy education. 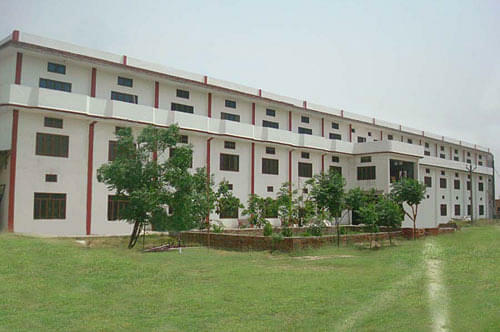 Excellent instrument and state of the art infrastructural facilities ensure excellent education to the students. A professional education is imparted to the students and they are also introduced to latest medical equipments that will help them to take better care of their wards. Why to join Majha International School of Nursing? 1. Affiliations with various hospitals- The College has affiliations with several hospitals like Govt Civil Hospital in Batala, Govt Civil Hospital in Gurdaspur, Primary Health Care in Naushehra Majjha Singh and at Kallnour. The students get to work in these hospitals and provide their services gaining valuable experience. After completing their courses, the well trained nursing students can look forward to excellent jobs in some of the renowned hospitals.